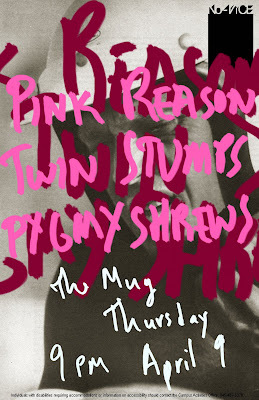 Tonight NoViCE presents Pink Reason, Twin Stumps, and Pygmy Shrews. 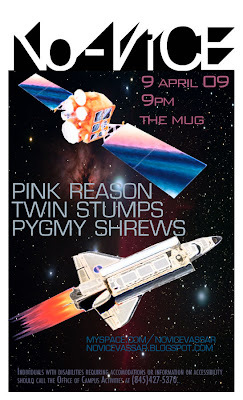 9pm in the Mug. Check out the NoViCE blog for more info. Class of 2009 Mug Night Tonight! This Weekend On Campus: Brewer Bash! Mini-Course Creator And Opponents Speak! Sent In By You...Join This Group! Announcing Our April Fools Day Contest!